Women these days do not like flaunting a greasepaint look. They prefer a natural look that does not draw unwanted attention. The specialized task of applying a flawless and natural makeup lies in the makeup tools. The right brushes can help you smooth the spots, do careful shadings and refine the look in simple strokes. There are plenty of makeup brushes for different purposes available in the market, but we tend to stick to a just two or three to perform the most makeup applications. 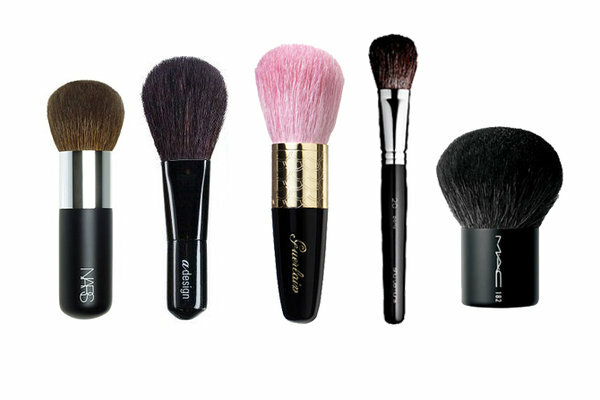 Here is a simple guide to help you understand the uses of different types of makeup brushes. A foundation brush is designed to apply liquid and cream foundation. The bristles of this brush are tightly packed with a tapered tip, which helps to achieve a smooth and non-streaky finish. Damp the brush in warm water and squeeze it in a towel. This will help to get an even distribution of product on the brush. Women tend to drag the foundation brush against their face, which gives it a streaky look. Use the brush with a stippling or a tapping motion to create a natural looking finish. You can try a foundation stippling brush to get a full coverage. Apply the foundation to the face with the fingers and then, use the brush for an even and precise application. This tiny brush can have a huge impact if used correctly. It is a soft bristled, flat brush with a wide base and pointed tip. Gently pat the brush on your concealer to get a small amount of product. Use the brush to camouflage the under eye dark circles, spot, broken capillaries and uneven skin tone. 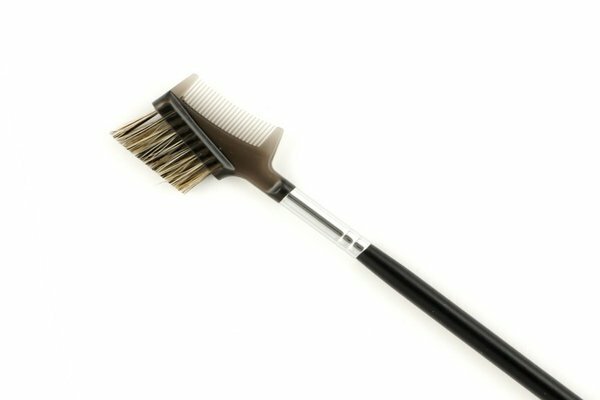 A duo fiber brush is made from a synthetic fiber and goat hair. 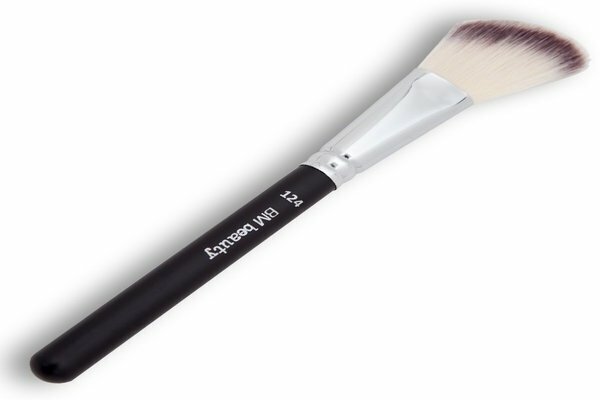 This brush is ideal for buffing and blending the shades. It has a flat, circular head that provides a light coverage of foundation. Use this brush to blend the cream blush on the apple of your cheeks or for dusting the shimmer powder on your cheeks and brow bones. A powder brush has a wide variety of purposes. It is soft, full and rounded with a small handle. The bristles pick up the right amount of color and distribute it perfectly on the skin. Swirl the brush in the powder and shake away the excess. Then apply on the face using sweeping and circular motion. A mineral powder brush can be used both wet and dry. It is specially designed to buff mineral powder on the skin to perfection. Apply in small circular motion for a flawless finish. A fan brush can help you get a natural foundation and powder coverage. It has fewer bristles than most of the brushes and each bristle is equally important. It helps to distribute the pigment evenly on the skin, while providing subtle shading. The fine bristles sweep a small amount of powder on the skin for a silky, velvety effect. 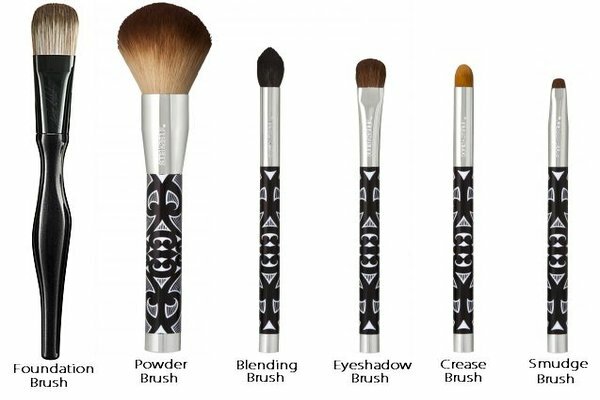 These brushes are also used to remove excess powder from the face, like the stray eye shadow particles that remain after the application. A blush is essential to get a healthy flush of color on the cheeks. Even the palest complexions can look healthy with just a swipe of blush. You need to get the best blusher brush to blend the powder effectively. A blusher brush is made of fine, gentle fiber and is about 2 to 2.5 inches long. It has a round head, which helps to give a pop of color to the apples of the cheeks. A natural and synthetic bristles will help to distribute the powder particles more effectively. Apply the powder to the tip of the brush and shake off the excess. Sweep the brush over the cheekbones and blend it towards the temples. Contouring will make the face look refined and fierce at the same time. A skillful contouring gives an illusion of high and prominent cheekbones and a well-defined jawline. It adds a more definition to the face. 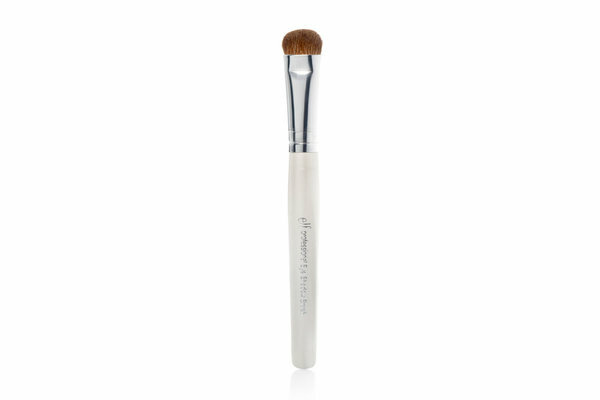 The face contour brush is round in shape, which mimics the angles of the cheekbones. It has firm bristles that help to blend the powder well. Use the brush with cream, powder or gel for a sculpted and defined makeup. You can use the contour brush to apply the blusher as well. An angled contour brush helps to swipe the brush diagonally from the cheekbones, helping you achieve a flawless application in one fluid motion. Applying eye shadow is not as easy as it looks. It requires expertise to blend the eye shadow properly. An eye shadow brush is short, flat and tightly packed with bristles to give a good control and an even coverage. The soft bristles have a tapered edge, which gives a smooth application without pulling the eyelids. Use a sweeping back and forth motion along the lid for a neat application. 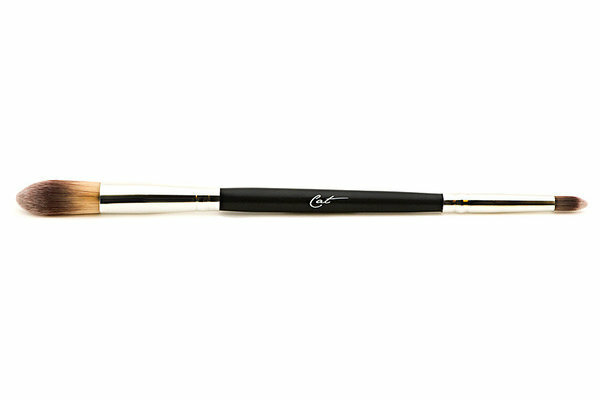 An angled eye shadow brush is used to apply colors to the lash and the crease line. It is a long, round and tapered brush, useful for shading the eye socket. The bristles must be firm enough to hold the product, while preventing heaviness. Apply the shadow on the crease of the socket and blend it back and forth to build a depth of color. This is a light eye shadow brush used for blending the eye colors and highlighting the brow bones. Start with little eye shadow and build your way up to your desired finish. Beautifully lined eyes add drama and dimension to the overall look. 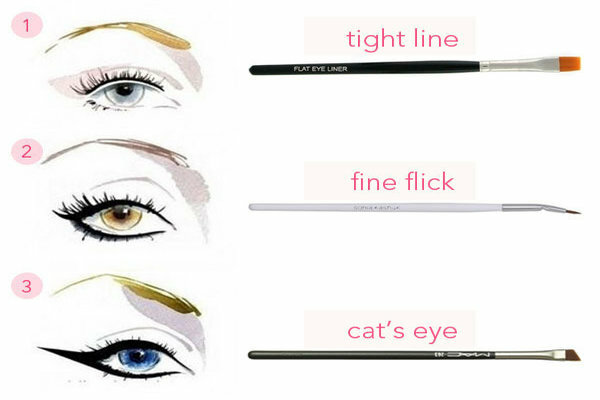 You can avoid a stark and fake look by applying the liner with a liner brush. The liner brush has an extra fine tip that delivers precise liquid and gel application. You can achieve a perfect line in just one stroke. You can also use the point to dot between the lashes for a more subtle effect. Select a firm bristled brush with a short handle. A bent liner brush is designed specifically to apply the gel liner. It has a bent head with a pointed tip that helps to create perfect lines. A flat eyeliner brush helps to apply the liner deep into the lash line for a rich for an intense look. Brush upwards to soften and blend the liner for a smoky look. Smokey eye makeup can never go out of fashion. Just a few proper strokes can transform you from a plain Jane to a sultry diva. Smudger is the best tool to create smoky eye makeup. A smudger is not exactly a brush. It is a sponge, rubbery tip found at the end of an eye pencil. The foam tip is shaped perfectly to fit into the crease of the eyes and soften the harsh line of a pencil. 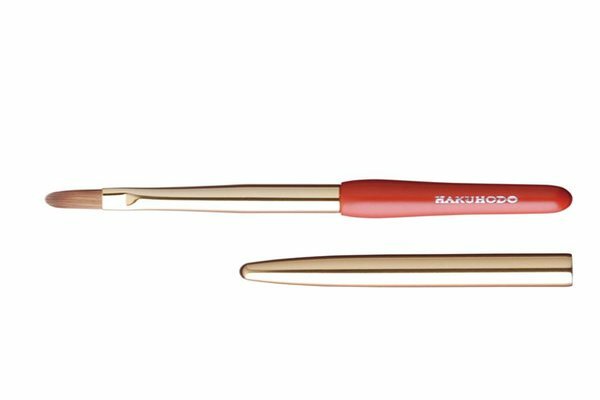 The smudger comes in two sizes- a larger applicator for the upper eyelid and a smaller applicator for the lower eyelid. The larger ones can also be used for applying eye shadow. Use the smudger in a gentle rubbing motion. Eyebrows are much more than thin strips of hair. They can make a dramatic difference to your looks. A slanted, eyebrow defining brush is used to define and fill the brows. The bristles are very stiff and are slightly angled for a more precise control. The design makes it useful for shaping the brow hairs. Use short strokes to apply the powder, liquid and cream and then lengthen to elongate the brows. This brush is ideal for taming unruly hairs. Its stiff bristled smoothens and combs the eyebrows for a polished look. Use the brush hair upwards and trim the excess for neatly groomed eyebrows. Spiral eye shadow brush also helps to remove excess product. A lip brush is required to achieve a perfectly drawn pout. It has a sculpted tip that helps to achieve a precise application. Its bristles and short and hard which gives a more controlled application and an even coverage. The eye shader brush is used for applying color to the eyelids. Use the tip of the brushes to smudge the color or create a defined line in the crease. A dome brush has extremely soft bristles that help to blend out the harsh lines below the brow line. It can help to feather out the color to create a smoky eye makeup. Its stiff bristles make it easy to blend the shadow, even at the crease. There is absolutely no point in buying high quality, expensive brushes if you cannot keep them clean and conditioned. Caring for the brushes is very important for the upkeep. The foundation, eye shadow and lip brushes should be cleansed after each use to prevent the spread of bacteria. The powder and blusher brush should be washed after five or six applications. Use an alcohol free cleanser to remove the product build up within minutes. You can also use gentle bar soap or baby shampoo to clean the brushes. Also, avoid sharing your makeup brushes with anyone.